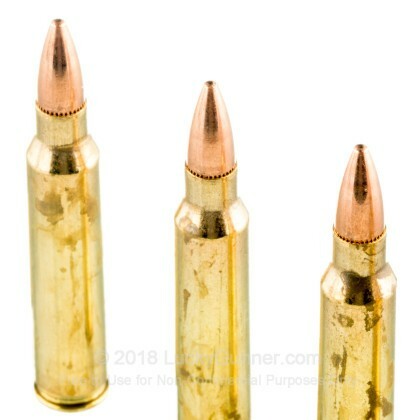 Great ammo for range time. Shoots clean with no misfires. My Springfield Saint eats them up with no issue and very accurate at 100 yards. The best feature is they shoot clean. I put 200 rounds down range and carbon buildup was minimal. Probably didn't really need to clean after, but I'm a clean freak. Used this to sight in my new M&P15. Good deal at the time, excellent service and delivery as usual. No ftf, fte, still clean after a couple hundred rounds. As always, great service and value. Ammo performed. Without any malfunctions. The mags for my AR-15 were good too. I especially like the Mag covers that came with them. great in my mini 14! 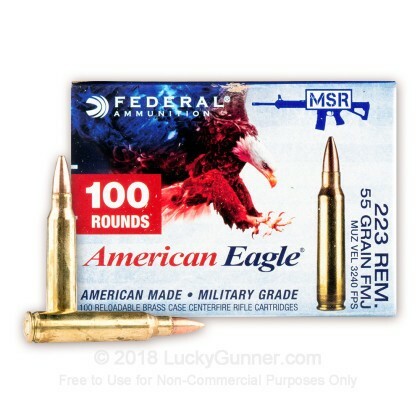 I have used other brands of 223 and have always come back to the american eagle by federal. PMC was my go to but when compared to the american eagle you can tell the difference. The eagle is much cleaner and very accurate. The reliability is also there. I have shot over 800 rounds of federal in a variety of calibers and have not had a single issue. I would and will buy again! Thanks lucky gunner! 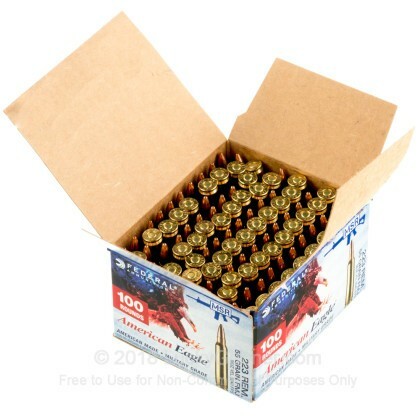 I purchased 200 rounds of this ammo for my first time shooting my new Mini-14. Not a single jam or misfire. These were a great value. Lucky Gunner shipped quickly. 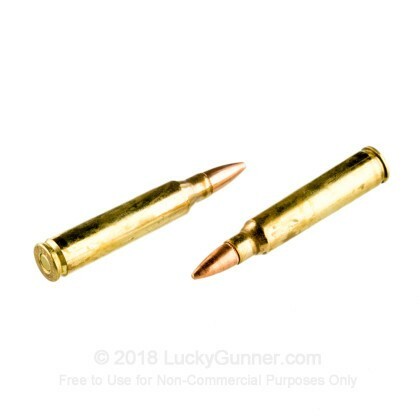 Great ammo for the dollar - no jams, misfires, clean ejects, good value, Lucky Gunner provides great service - use Lucky's for lots of ammo buys - freely reommend them. Only fired a few rounds due to time constraints, but it performed as expected. Service and products just as expected. All I could find for this price. No malfunctions. Not being a precision shooter they were good for me. My ruger 556 sure does like this ammo. Great product!!! 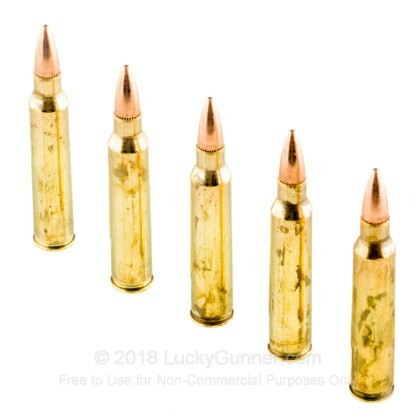 I've used this ammo before, and it's fine. I bought from LuckyGunner because the price was fair and the convenience is unbeatable. My order came right away. No problems. I would buy here again. On my doorstep the next morning after ordering.This is my Colt M4's favorite ammo and 10% cheaper than at Wally-World. I've put about 400 of these American Eagle .223's thru my Mini 14. No duds, good accuracy, will be buying more! A: At this time we are able to ship directly to the home. Please keep in mind that anyone ordering and receiving the ammunition (if different parties) are subject to our terms and conditions. A link to this is posted at the bottom of our site and is covered during the checkout process. If you are shipping to the state of Illinois or New Jersey, documentation will be required prior to shipping your order. If this applies to you, feel free to send us an e mail for more information, or if you have any additional questions about our products or the ordering process. 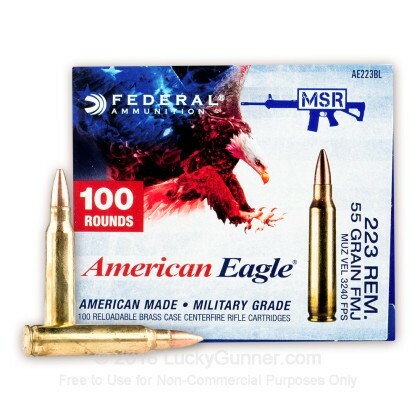 We also have this 223 Rem - 55 Grain FMJ - Federal American Eagle - 500 Rounds ammo in stock in a bigger quantity.